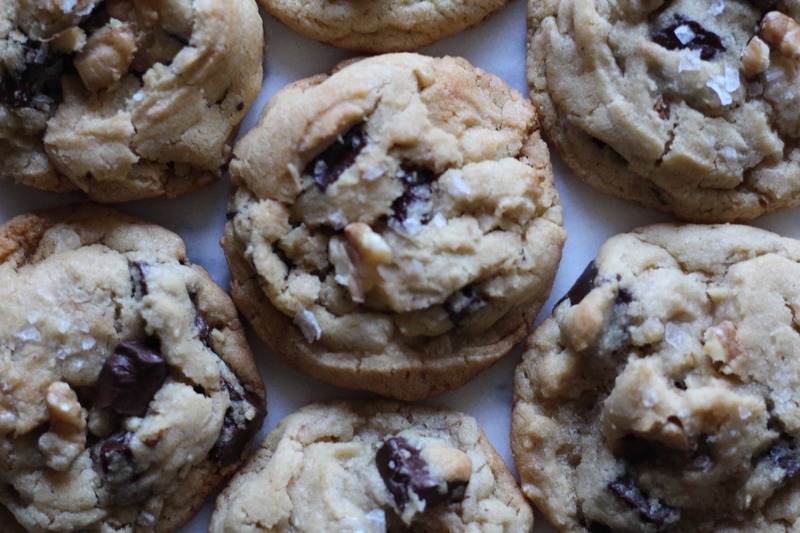 Chocolate chip cookies are a classic treat, that everyone I know loves and enjoys. They were invented in 1938, by Ruth Graves Wakefield, who owned the Toll House Inn at the time. There are so many ways to put your own spin on them! 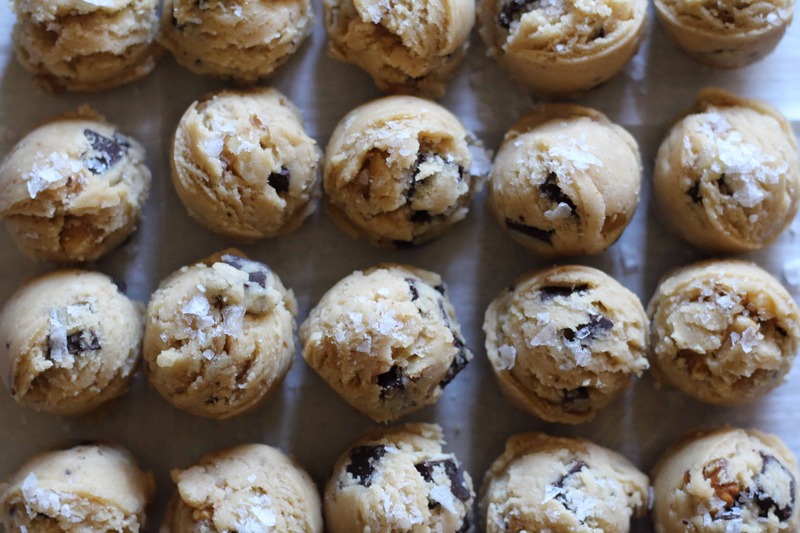 My salted brown butter chocolate chip cookies , pumpkin spice chocolate chip cookies and chocolate chip cookies (that have the addition of milk powder I learned this from Chef Christina Tosi) are a few of my favorites! Hussein and my mama, absolutely love walnuts. They eat them raw, out of the bag as snacks! While, I do enjoy walnuts, I don’t often snack on them. I do, however, love walnuts in my backed treats!! 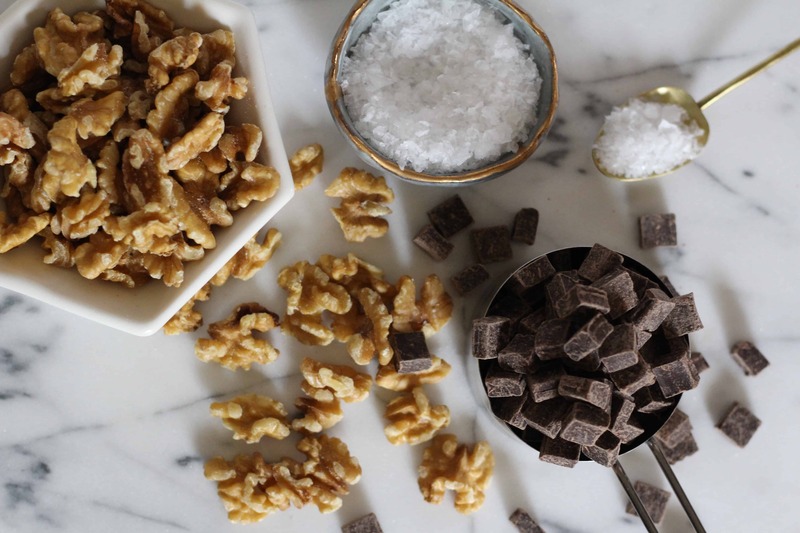 Do you have a favorite nut to bake with? 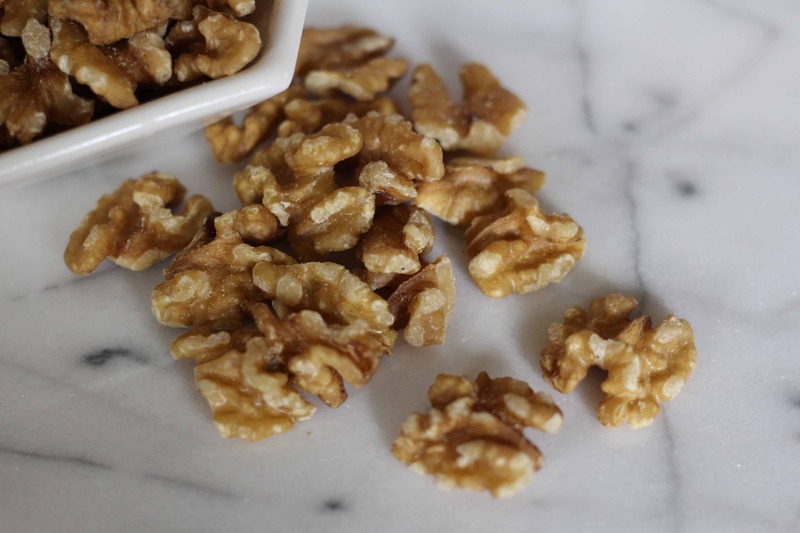 I recently learned of a small family owned walnut farm in California, called Corky Nuts. I had to order these organic walnuts for us to try! To my delight, they were harvested fresh and shipped almost immediately after they were collected and shelled. In a stand mixer, using a paddle attachment, cream together butter and sugars.This process takes 3-5 minutes. Sift in flour, baking soda and baking powder. Mix into the wet ingredients. Do not over mix. Fold in the chocolate chips and chopped walnuts. Using a size 40 ( 1½ tablespoon) icecream scoop dough onto a parchment lined baking sheet. Sprinkle tops of cookies with flake salt. Place the refrigerator for 10 minutes to chill.